This chapter develops a reliable and valid scale of relative institutional challenge between 40 country pairs by drawing on three measures of institutional uniqueness. The single measure can be used by researchers and practitioners to assess the relative institutional challenge that a multinational corporation (MNC) may face in the internationalization process between their home and potential host country. 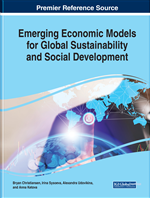 The value of this single scale includes (1) a more comprehensive and broad scale than three separate scales, (2) demonstrated reliability and validity, (3) a standardized measure of institutional challenge that can be used by different researchers in different research settings, and (4) a tool for practitioners that is easily applied and robust when considering alternative off-shore investment opportunities. In recent years, the international environment has been undergoing severe change and uncertainty. As the result of changes in the political, economic, and cultural settings within international institutions, the issue of uncertainty and changes in institutional contexts have become very important. Some notable events, such as the 2008 economic recession and government changes within previously stable countries, show us that uncertainty in institutional contexts occur regardless of a country’s level of development. In increasingly turbulent and competitive international environments, having a comprehensive understanding of a country’s institutional environment is a key element for success in international business and the specific process of internationalization. Different studies examine how environmental and institutional factors affect internationalization strategies and have highlighted the role of country conditions as a determinant of firm performance (Gaur & Lu, 2007; Khanna & Palepu, 2000; Peng, Wang, & Jiang, 2008). One of the basic arguments in this area stems from institutional theory proposing that firms are embedded in country-specific institutional arrangements (Busenitz, Gomez, & Spencer, 2000). From the neo-institutional perspective (North, 1990; Scott, 2001), a country’s institutional environment (e.g., rules, social norms, and cognitive structure) has a direct effect on firm strategies. These factors set the framework for market transactions by defining both the ‘‘rules of the game’’ (North, 1990, p. 1) and firms’ legitimacy conditions (Meyer & Rowan, 1977). Institutional theorists view the institutional environment as a key determinant for firm behavior and strategy; the relationship between institutions and firms is considered a dynamic interaction leading to different strategic choices (Kostova & Roth, 2002; Peng, 2003; Peng et al., 2008). These choices can include the level and process of innovation in a given country (Bartholomew, 1997), foreign partnership activities, differences in entrepreneurial activities (Busenitz et al., 2000), mode of entry and ownership strategies (Brouthers, 2002; Davis, Desai, & Francis, 2000; Gaur & Lu, 2007; Uhlenbruck, Rodriguez, Doh, & Eden, 2006), and strategic alliance partner selection (Hitt et al., 2004). Drawing from institutional theory, we know that internationalized firms face institutional differences in host and home countries (Bartlett & Ghoshal, 1999; Kostova, 1999; Oliver, 1991). Several studies examine the country-specific influences on the international activities of firms at different levels. The literature on country institutional profiles, as an example, has been predominately used for explaining international management phenomena (Kostova, 1999). A segment of this research studies the advantages and disadvantages of host or home countries. From an institutional perspective, these studies explore how the institutional profile of a specific host or home country can affect international activities of the firm (Bénassy-Quéré, Coupet, & Mayer, 2007; Chan, Isobe, & Makino, 2008). Collectively, this group of studies focuses on differences in the availability of ‘naturally inherited’ factors of production (e.g., labor, land, capital) in host countries (Dunning, 1980, 2000) or the competitive advantages of home countries that are derived from their created capabilities (Chan et al., 2008; Porter, 1990).